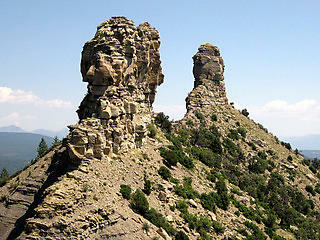 Across a swath of northwestern New Mexico are hundreds of sites that help unlock the mysteries of the Chacoan people, prehistoric farmers who inhabited this area for six centuries starting in 700 A.D. Today these great innovators are represented by descendant Pueblo and other Native American groups. The architecture and engineering prowess of the Chacoan people suggest a highly developed culture, known for magnificent multi-storied buildings. 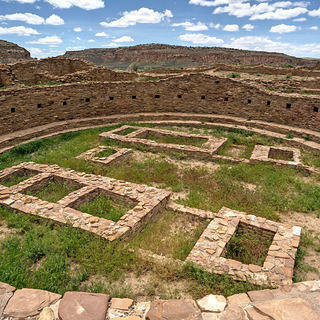 Using masonry techniques unique for their time, the Chacoan people constructed massive stone buildings – or Great Houses –often containing hundreds of rooms. Although some of the Chacoan sites are now in ruins, many others are remarkably intact. The legacy of the Chacoan people includes thousands of ancient pueblos and shrines, along with an extensive road network that provided a physical and cultural link for people across the region. Sites within Chaco Canyon itself and some on nearby mesas are protected as part of the Chaco Culture National Historical Park, which is managed by the National Park Service. The international significance of this region, which includes Aztec Ruins National Monument and Salmon Ruins, is exemplified by the designation of the Park as a World Heritage property, which is one of only 20 in the United States. It is the natural and cultural landscape as a whole, and not just individual sites, that make this Chacoan region worthy of protection and yet, most Chacoan sites and roads located on federal lands outside the Park and World Heritage boundaries are at risk from a variety of human activities including, most significantly, energy development. Many of these sites and roads rival those located within the Park. For example, the recently mapped culturally significant Great North Road, which runs dozens of miles towards the New Mexico–Colorado border, remains vulnerable to development and other land-disturbing activities. The Greater Chaco Landscape was included on the Trust's 11 Most Endangered Historic Places list for 2011.